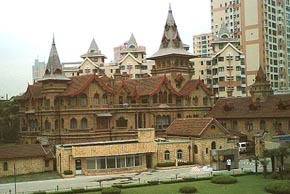 Shanghai was our family's first home in China (2000-2002). 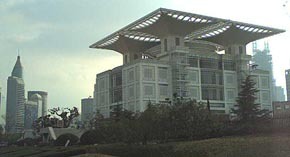 We loved living there, but work in other places kept us from going back often, and unfortunately I had a primitive digital camera back in 2000, so these photos give a poor presentation of one of China's most interesting cities. 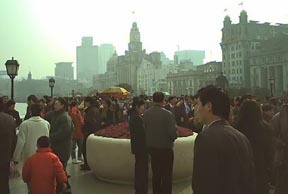 Shanghai has changed a lot since Michael's first visit back in 1985 (shown here). 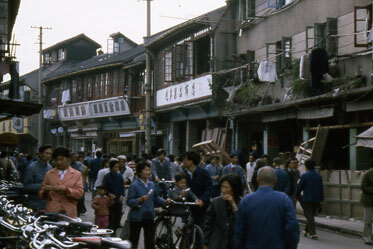 Back then, a few foreigners standing on the street could draw a crowd, but foreigners are barely noticed today (unlike many places in China, where children still point at us and say "Lao-wai"--"foreigners!"). 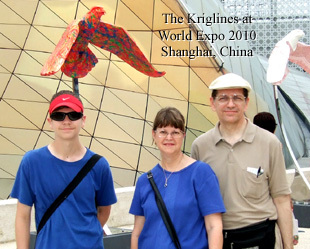 After visiting the 2008 Olympics in Beijing, we almost felt it was our duty to also enjoy the 2010 Shanghai World Expo. This "family photo" was taken behind a wonderful exhibit about the United Arab Emirates (UAE). You can see more Expo photos by clicking here. Shanghai's maglev train was under construction when we lived in the city, so I was looking forward to riding it in 2010. These photos show the bilingual signs, the car's interior and exterior, and the display showing her top speed of 431 km/hr. The distance I used to cover in about 45 minutes now takes about 7 minutes!  Here is where the "primitive" digital photos start (from 2000-2002). 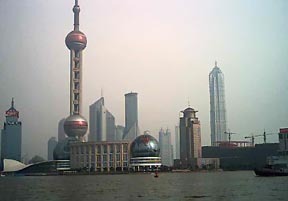 Shanghai's Famous Bund has been an Asian business and banking center for over 100 years. 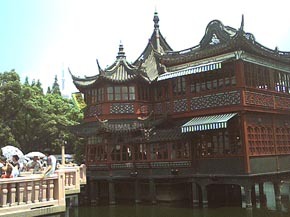 In addition to it's bustling business and shopping districts, Shanghai also has great museums and entertainment venues. Shanghai’s world-famous acrobatic circus is a real crowd-pleaser. This is Shanghai's cool Planning Museum. 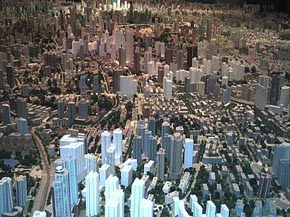 Inside (right), the top floor is a huge scale model of the way Shanghai will look in a few years. 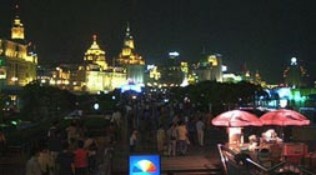 The Bund (or Wai Tan) is still a popular destination for tourists and "locals" by day and night! The 400-year-old YuYuan tea house. On the "old" side of the river, Shanghai is working hard to preserve its treasures, including the YuYuan tea house (left) and the fairy-castle-like Mollar Villa hotel (right) where we spent our 13th wedding anniversary.